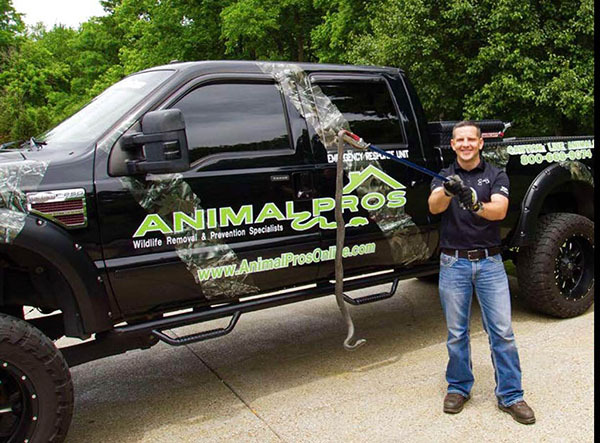 If you are in need of snake removal services in Greater Nashville and Middle Tennessee, contact a Animal Pros snake removal specialists. Tennessee is home to 34 species of snakes, and of the 34, only 4 are venomous. Nashville does have a few venomous snakes, usually around the outer areas of Nashville Metro, Davidson, Sumner, Robertson, Rutherford, Williamson, and Wilson County areas. For questions or help with identification, please use this page as a reference or text 24/7 (615)-613-5992 for identification. Search for snake skins or sheds, droppings, and the food source that is attracting them. In Tennessee, it is illegal to kill, harm, remove from the wild, or possess snakes taken from the wild, without proper permits. Do not try to kill, handle, or catch snakes. Do not release captive snakes into the wild. Always contact a professional for immediate identification, snake removal, control, or contact a ER if you have been bitten by a snake. There is no need to bring the snake to the ER if venomous, as all venomous snakes in Tennessee are pit vipers and the anti-venom is the same. The presence of snake activity in your home can seem like a nightmare for any homeowner. Thoughts of snakes slithering around a home can be very unsettling. First of all, Snakes are excellent climbers. Snakes will not be confined to low foundation openings, but can and will take advantage of trees, bushes, and limbs overlapping your roof line, use mortar lines in between brick to move up your home, and gutter spouts to climb higher to access attic openings. They often will enter homes high and low if there are openings, to seek out a food source. By food source, usually mice, rats, birds, and squirrels. Body oils that rub off a animals fur that are using your home as shelter, is all a snake needs to follow scent markings, attractants, and trails, right to the same exact opening the animal has been. Once they are inside the home, it will follow those same trails through insulation in attics, walls, or even into the crawlspace to search out the food source. Have you ever seen a mouse run across a floor? If your one of the homeowners who have came home to a snake in your floor, this is how that happens. Contact our specialists at Animal Pros for further information on snake control for your home. Seeing Snakes in your yard may not be a need of panic. Best thing to do is leave it alone as it is just passing by. Snakes are put here for a reason and they do their fair share of controlling rodent populations. But if it does come up around the home, gets too close to children or pets removal may be necessary. Evaluate what is exactly the cause. Are there bird nests in the shrubs and trees around your home? Is there debris and shelter, or over growth of vegetation creating a suitable habitat? Is there a rodent problem in your attic or crawlspace? Is there building and construction happening close by? These are all reasons why snakes might inhibit your property, and take up refuge. To see the various types of snakes in Nashville, see our snake identification page. If you are in need of Snake Control in Nashville area wide, then you should contact us today. 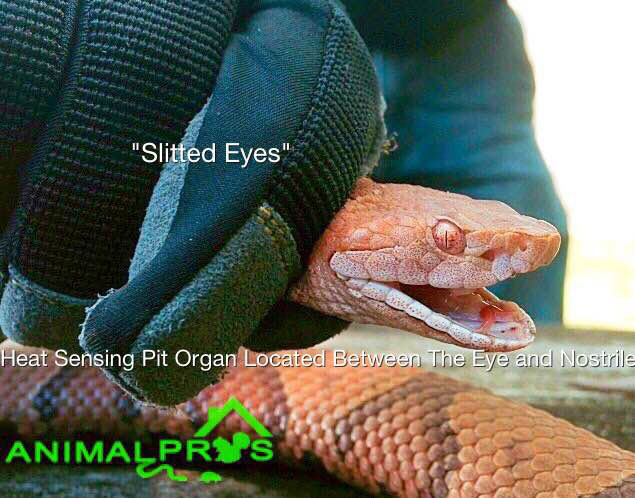 A search is performed identifying the presence of Snakes, Skins, Droppings, the food source the Snakes are after, and openings thy may be using to gain access into your home. Contact our Snake Removal and Control Specialists today for all questions and confers of problems in Tennessee, and Nashville area wide. 615-499-5692. We also take care of the following counties: Davidson County, Sunmer County, Williamson County, Robertson County, Rutherford County, Wilson County, Maury County, Dickson County, Hickman County, Montgomery County, and Cheatham County. Snake activity in Tennessee, or Nashville area wide really starts occurring in late March through early November. Most bites occur April – October in Tennessee. But with Tennessee having 40 degree temperature changes in a given day, you can have activity nearly year round. Snakes can be diurnal and seen mostly during the day as temperatures warm, but snakes can be nocturnal, especially when temperatures are conducive, or moving in and out of a home. We have commonly entered attics with multiple live snakes, removed them, searched for more, only to return the next day to find more live snakes. Mating Season of snakes vary by species, and can occur April – September, and by area. Snake calls that pour in on a daily basis, indicate a Rattlesnake or Copperhead, when in 99.9% of the cases it is a non venomous snake. Did you know that most non venomous snakes will rattle their tail or whip it back and fourth as a defense mechanism, making a rattle noise. Any snake can be aggressive, and should all be treated with respect. If you are unsure, treat it as a venomous snake and keep your distance. Snakes will frequent residential areas in search of food sources like, frogs, toads, fish, chipmunks, mice, rats, birds, squirrels, and even bats, especially if you have any of these living in your home. There are a number of Snake Traps on the market, and very few that are effective. The best way to remove a snake, is to have a professional remove it as soon as it is seen. Having a professional search for a snake that was seen last week is like searching for a needle in a haystack. We do offer trapping in certain situations if necessary and trap placement and what is put in the trap is key. Contact us today for help with Snake Trapping in Nashville area wide. Is there openings around your foundation or roofline? As a defense mechanism, the grey rat snake will rattle its tail, or vibrate it fast enough to produce a rattle sound, even though not a rattlesnake. They can grow very large, as we have found them up to 9′ ft in length. They are found throughout the entire State of Tennessee. Snake Repellents are more often ineffective by itself. There are several different snake repellents on the market, and few can be effective only in addition to other control options. Separating Facts from Myths is crucial. Fact, Moth Balls are ineffective. Not only do Moth Balls not work, they are bad for the environment. Snake Repellents come in spray, liquid, and powder form. For a Snake Repellent to be effective, debris or shelter for snakes must be removed or habitat modified. The food source must be eliminated. Openings in or around your home must be secured. The other factors that can effect longevity of Snake Repellents can be weather. How much rain does the area receive, is it the rain or flooding season, does the area hold a lot of moisture. There are several safety precautions when using Snake Repellents, so the best thing to do is contact one of our professionals for further assistance.